A Separate Peace is a novel that takes place during WWII, and talks about two best friends. Finny and Gene seem to be unlikely friends, because Finny is really into sports and having fun, while Gene focuses on his studies and being number one in his class. Gene becomes extremely jealous of Finny' s popularity, and becomes paranoid that Finny doesn't want Gene to be number one in the class. Gene's jealousy controls him and gets the better of him and starts the main conflict in this novel. This book teaches the life lessons of friendship and loyalty. A true friend should not feel jealous and want to bring down a friend, but should be happy and support his or her friend. A true friend will acknowledge and accept their wrong doings toward their friend, and finally his or her friend will accept the apology. Another life lesson I learned was that you should always think before acting because you might regret it until your death. This book is more than two covers filled with printed pages. The words and story itself come to life with each turned page. The characters become a friend you yourself will not want to say good bye to. The whole book was amazing, because the book starts out as a comedy but becomes and ends as a tragedy. If you are a strong reader and can withstand a sad ending like this one, I strongly recommend this book. A Separate Peace is more than a book , it's a soul that keeps living. for his new lover, Hanna. This book has two parts. At the beginning, Michael is fifteen when he firsts meets Hanna, but is later in his twenties when he finally sees Hanna again. Michael finds out why and where Hanna disappeared. I would recommend this book to teens who enjoy a good mystery, and if you pay close attention you can solve the mystery. However this book does contain intense scenes. Remember, Michael and Hanna do have a inappropriate relationship. This book was a fast read book because of the awesome mystery - it's a total page turner! There is also a movie with the same name based on this book. A foster girl named Liesel, is taken to the Hubermanns. The narrator of the book is Death, which just adds to the amazingness of this book. Death explains the story in precise detail and explains how "Papa", also known as Hans Hubermann is a comforting man, who teaches Liesel to read. Liesel learns to read and steals books during the time of the Holocaust in Germany. This book really makes you think about Death and what it is. Death explains about taking people and you realize how the Jews and anyone who helped the Jews, suffered severely. It really helps grasp the concept of that time period. I would definitely recommend this book to others. Most kids, like myself, love to read about fighting and Death. Everything about this book was amazing! Set during World War II, Marie-Claire is horrified to discover that she--and her two siblings--have caught the worst disease of them all: tuberculosis. As she struggles through her ups and downs, she meets a boy who shows her that there is hope. Here starts your atypical tale of boy meets girl. It was interesting to see a love story enfold in, of all places, a sanatorium between two patients--for this originality, I gave the book three stars but was unable to wholly enjoy it because the main character (Marie-Claire) was, put simply, annoying. Although this just makes her more "normal", many of her actions throughout the book irritated me to no end. If you like some history or unconventional (and subtle) romance, this book is for you. Anyone above 8th grade should find this an enjoyable read. 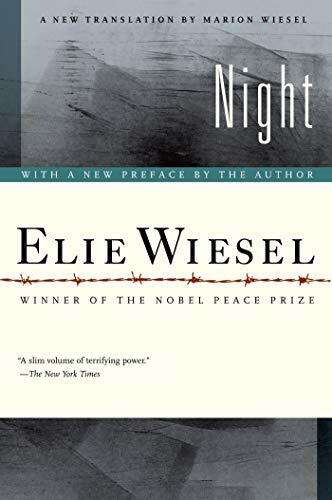 Follow Eliezer as he takes you on his frighteningly vivid journey as a victim of the Holocaust, through the thick and thin of one of the most notorious concentration camps, Auschwitz. 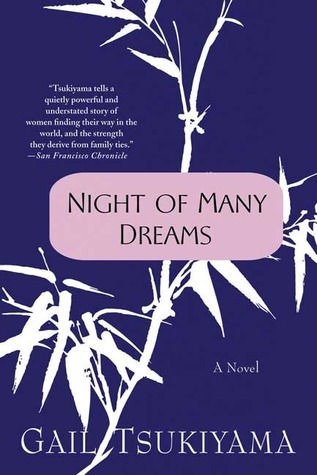 As it documents Elie's story (though some parts are inaccurate to his personal experience for several reasons), Night is obviously a sad book with a bittersweet ending. However, the story itself was portrayed so vividly and wonderfully that I can't help but give it full marks. Anyone who has a taste for history and doesn't mind a sorrowful book will enjoy this, though high schoolers will get the most out of this text. Be warned that some of the horrible things that happened during the Holocaust will be described to a degree. The Jewish Starzynski family had their lives turned upside down when they were taken away by French police in the long forgotten Vel d'Hiv' roundup that took place in Paris, France during WWII. Their daughter, Sarah, hides her 4-year old brother Michel in a secret cabinet, believing that she'll be able to return and find him. Sarah's hopes are in vain when she is torn away from her parents and sent to a concentration camp. A journalist by the name of Julia Jarmond works to uncover Sarah's story and remind others of the lives lost in the Vel d'Hiv'. Sarah's Key was one of those books that I couldn't put down. It goes back and forth between Sarah's and Julia's points of view, slowly bringing their fates together. I would definitely recommend this book to readers who are interested WWII stories and enjoyed The Diary of Anne Frank and David Faber's Because of Romek.